As a longtime recipient of Influenster Voxboxes, I am delighted that SuperSizerFibers Voxbox is first (of hopefully many)to be reviewed on my blog! One of my absolute favorite items to receive in the mail is makeup, so you can imagine my excitement when the SuperSizerFibers Voxbox showed up at my door. Covergirl Perfect Point Plus Eyeliner: I received this eyeliner in shade 210 espresso. Brown eyeliner isn’t exactly my cup of tea, but I was willing to give it a try. What I first noticed about this eyeliner is the soft pencil. However, the softness may have been part of the reason why I had so much trouble applying it. Despite all my efforts, I could not get a good application. I traced over my waterline several times to attempt to get the color to transfer on, but I didn’t have any success. I’m not sure if I would have had a better application with a darker shade or if this eyeliner solely glides on better on top eyelids, but whatever the reason…I’m not too impressed. Because I had so much trouble with applying the eyeliner, I wasn’t able to get any pictures wearing it. However, here’s a picture to get an idea of what the shade looks like. Personally, I would not purchase this eyeliner. It did not work for me whatsoever, but others may have better results. I’d give the eyeliner a 2 /5 💋💋 rating. On to the mascara…. Covergirl Super Sizer Fibers Mascara: Fiber mascara has been all the rage for months, but I’ve yet to try one until now. I’ll admit, I have always been a bit hesitant of fiber mascaras because not only do they tend to be expensive, but they are also a bit confusing,time-consuming, and intimidating. However, Covergirl’s Super Sizer Fibers Mascara isn’t any of those things. This drugstore mascara is an inexpensive one-step formula that gives you long & luscious lashes in no time. I am truly impressed not only by how much length this mascara gives my lashes but also how little it flakes. Flaking is always a concern for me because I have sensitive eyes, but it was no issue with this mascara. Even in the summer heat, I had zero problems with smudging which is really unique for a mascara that doesn’t claim to be waterproof. As for the fibers, my lashes were noticeably thicker and longer. It is definitely an improvement from the length I achieve from the typical drugstore mascara. I also had no issues with fibers falling off onto my cheeks or into the corners of my eyes (which is often a common experience/concern with fiber mascaras). Another thing I loved about this mascara was how dark & bold my lashes looked! I received this mascara in shade 800 very black which is perfect for me because I love a dramatic look. The very black shade definitely accentuated my eyes.The darker the lashes, the brighter the eyes! However, if you’re looking for a more natural or simple look,they also have three other shades to choose from. These shades include 805 black,810 black brown, and 815 brown. The retail price for this mascara is $5.99, which if you ask me… is a steal! This mascara works wonders and is worth every penny. Overall, I’d give the mascara a 5/5 💋💋💋💋💋 rating. It did what it said it would, exceeded my expectations & is available at a great price. I am likely to purchase it for myself in the near future. That’s all for this review! 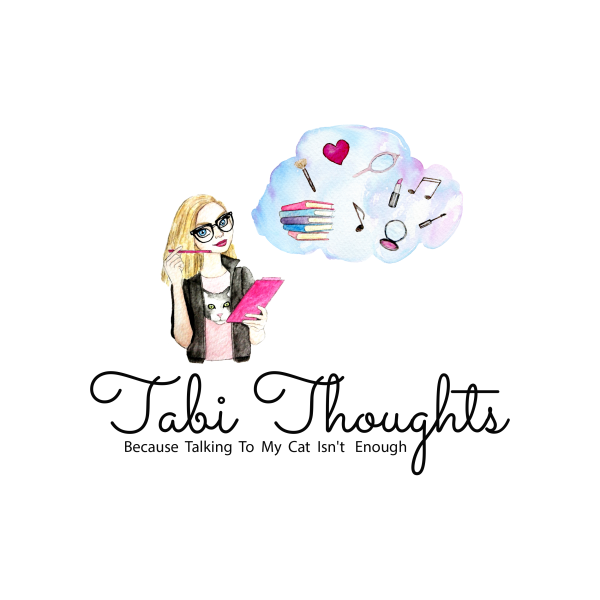 If you enjoyed it, follow my blog for future reviews and be sure to like Tabi Thoughts on Facebook to keep in touch!